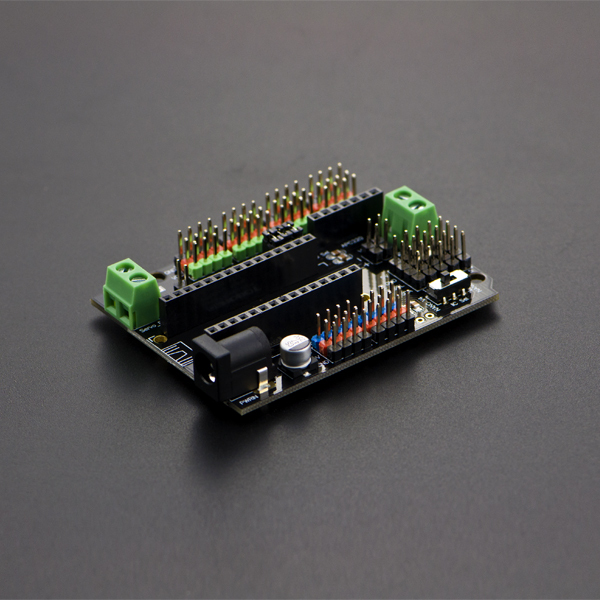 The Arduino Nano I/O Shield acts as a expansion board for the Arduino Nano and DFRduino Nano microcontrollers. There are several different options for power input. The form factor of the Nano I/O Shield board is the same as the Arduino UNO/ Arduino Leonardo. In addition, each pinout includes 5V and GND pins for easy connection to sensors or servos. This unit comes fully assembled. 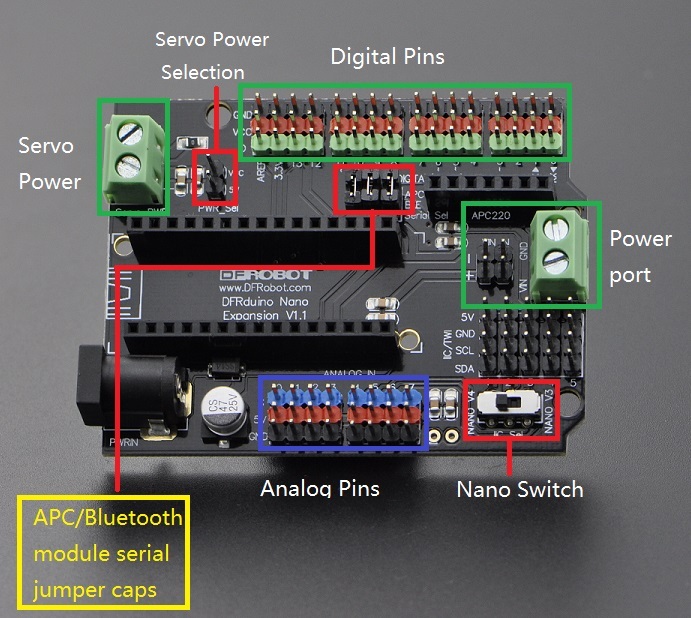 The board also has a space specifically for the DFRobot bluetooth module and ACP220 module. Several I2C pins are also exposed. There are three jumper caps on the shield (APC/Bluetooth module serial jumper caps). When you want to power the shield with usb cable, please move 'GND' jumper cap to Servo power selection port. When you want to use external servo power, please move the jumper cap back.